Given that the war between Rick and Negan had just begun in last season’s finale, we were expecting The Walking Dead’s first season eight footage would be epic. It definitely is, but it’s the trailer’s very unexpected final shot that has us scratching our head about what it means. And you can watch it and be equally baffled here. So there at the end, that’s obviously a much older Rick, sometime in the future. Is this a dream? Are we getting a huge timejump? Does this mean he actually survives to old age? Is it an ironic vision he has of himself just before he dies because Andrew Lincoln secretly wants off the show? We’re guessing its the first option, but still, this is very strange. 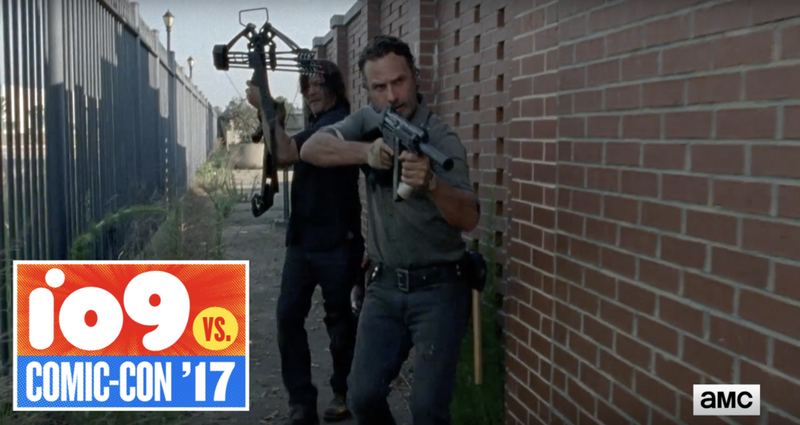 Before that, Rick gives a huge inspirational speech, Darryl does a little Terminator 2, and oddly the war with Negan feels like an afterthought, which we’re also unsure how we feel about, given how the entirety of season seven was spent leading up it. The Walking Dead returns on October 22.